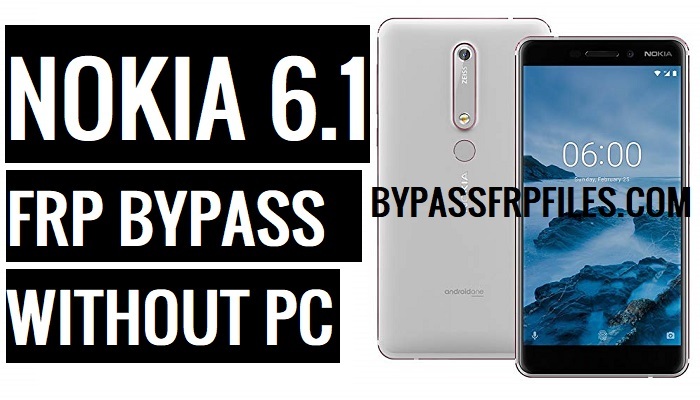 Too many Nokia phones users facing the FRP lock issues to there devices, so we always trying to unlock FRP from Android devices easily, So if you own a Nokia 7.1 and also facing the FRP lock issue to there devices, then we are here share with you another latest guide to Bypass FRP Nokia 6.1 very easily, After the update of Android 9 Pie, it’s too tough to Bypass Google Account from your Nokia 6.1. but we found a method to Unlock your device easily. so just follow this method to only you need a good wifi connection and download FRP files then you can easily done Bypass Nokia 6.1 Google Account. Warning: This method we tried on Nokia 6.1, try other devices also. -After that, tap on the “language Selection” drop-down menu. -Once done then tap on the “3 dots” from the top right corner, and select the “2nd options” from there. -Once you follow all the steps from the below steps successfully then tap on the “Search Bar”. -But at first, we need to download only one application that helps you to Bypass FRP Nokia 6.1 easily. -Once done, install the “FRP Bypass (GD).apk” and then tap on the “Open” button to successfully Bypass FRP Nokia 6.1. -Then sign in there with your any valid Gmail id to Bypass FRP Nokia 6.1. -Now you have successfully all Bypass Nokia 6.1 Google Account. Thanks for visiting us, if you facing any problem with this Bypass FRP Nokia 6.1 (Android-9 (Pie)Without PC, comment us below.